The sparkle sheer creates a subtle silver over white. Looks nice with the matching Silver Sparkle Sheer Tablecloth or Eternity Stripe Sheer - Silver Tablecloth. 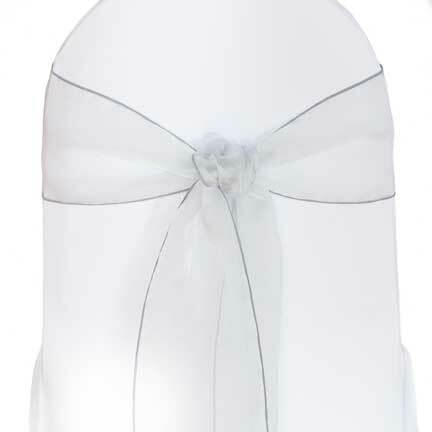 Adding a sash is a great way to add color and flair to your chair covers.